Irish whiskey, scotch, bold red Vermouth, saffron black pepper syrup, orange bitters…Who would think of that? A Smooth Criminal would. Hayride Scandal is not everyone’s cup of whiskey. But everyone agrees there’s nothing else like it. Called one of the South’s Best New Bars by Garden and Gun Magazine, Hayride is a celebration of Louisiana’s scandalous past, a setting fitting for a miscreant politician or provocative fan dancer. Escape to a haven of red velvet, white marble and dark secrets—Of faded leather sofas and comfy, satiny wingbacks, rosewood and chandeliers. 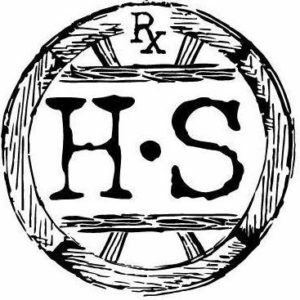 Hayride Scandal, The cure for the common bar.